What are Portal Steel Framed Buildings? 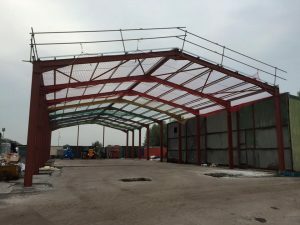 Portal steel framed buildings are commonly constructed, and are generally formed by a combination of steel columns and rafters, with the latter being either horizontal or pitched. 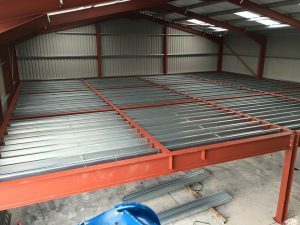 They are extremely strong, thanks to the moment-resisting connections used, as well as the effective member bending stiffness found within them This type of building is used commonly in industrial and large commercial developments, and is characterised by usually being low to the ground. What Types of Portal Steel Framed Buildings Are There? There are a number of different types of portal steel framed buildings, thanks to the flexibility the design brings. The most commonly seen is the pitched roof symmetric portal frame, which is a low building with the roof tapering to a point in the middle. It is also possible to have the highest point of the roof set to one side, and this is usually used when the building is close to other buildings, or when the span is a short one. The type of design chosen is not usually for aesthetic reasons though, but more for reasons surrounding practicality and safety. Internally, a portal steel framed building can have a number of features for support, including props. It is also possible to include features such as a mezzanine within a design. While most portal steel frame buildings are constructed in a similar way, there are some less commonly seen construction methods, such as the Mansard portal frame and the curved rafter portal frame. A good architect will be able to advise on the best choice of construction for a specific project though. How Are They Kept Safe? 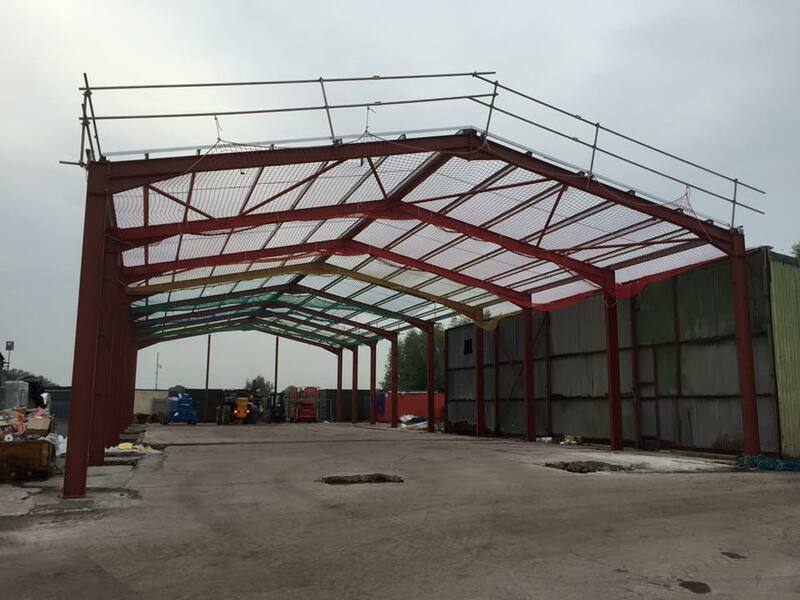 As you might imagine, there are a number of different rules and regulations surrounding the construction of portal steel framed buildings. Everything from the potential weight of snow through to the impact of wind on the structure is carefully analysed by a structural engineer and architect before the project starts, and rigorous tests are carried out throughout the building process. What’s more, the type of steel used within the construction has to be grade S275 or S355 to ensure the strength is satisfactory. When all these factors are combined, portal steel framed buildings are some of the safest around. Which Industries Use Portal Steel Framed Buildings? 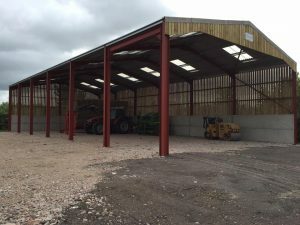 Portal steel framed buildings are rarely used for residential developments, however they are often seen in industrial and agricultural settings. They are also used for larger commercial premises, such as out-of-town superstores and supermarkets. There are many reasons that they are commonly used in these areas, including price, durability and the speed in which they can be built. They are also easy to extend, making them a good choice for any businesses thinking about expansion in the future.